Endodontics is a dental specialty concerned with the study and treatment of the dental pulp. Endodontic study and practice encompasses the basic clinical sciences, including biology of the normal pulp, and etiology, diagnosis prevention, and treatment of diseases and injuries of the pulp and associated periradicular tissues. Endodontists perform a variety of procedures including endodontic therapy (commonly known as “root canal therapy”), endodontic retreatment, surgery, treating cracked teeth, and treating dental trauma. Root canal therapy is one of the most common procedures. If the dental pulp becomes diseased or injured, endodontic treatment is required to save the tooth. A person’s teeth are meant to last a lifetime. If the teeth have been exposed to a disease or a trauma the dentist may recommend a Root Canal Treatment as an option to save the tooth. The best to save oneself from the trauma is early diagnosis. Most patients that come to us come when the issue is in its severity stage. This however is preventive with yearly dental checks. At Wassan Dental, our Specialist Endodontists ensure high quality treatments to our patients. Advances in technology, the use of microscopes and other high-tech instruments, have meant that processes in the field of Endodontics have changed enormously over the recent years. Nowadays, Root canals have more than 92% success rate. In most cases it is completely painless and generally comfortable for the patient. To explain further a root canal treatment is a routine dental procedure needed when the blood or nerve supply of the tooth (known as the pulp) is infected through decay or injury. You may not feel any pain in the early stages of the infection. In some cases, your tooth could darken in colour, which may mean that the nerve of the tooth has died (or is dying). The symptoms can range from a dull ache to severe pain and the tooth may be tender when you bite. This would need root canal treatment. The aim of the treatment is to remove all infection from the root canal. The root is then cleaned and filled to prevent any further infection. With dental advances and local anesthetics, most people have little if any pain with a root canal. In fact, it’s probably more painful living with a decayed tooth. As a dead tooth is more brittle, it is usually necessary to restore the tooth with a crown to provide extra support and strength to the tooth after the root canal is completed. Root canal treatment is a skilled and time-consuming procedure. Most of treatment will involve two or more visits to your dentist. Our doctors and staff are determined to ensure a warm and friendly Endodontic experience. 1. The dentist gives you a local anesthetic (freezing). consists of restorative material placed in the coronal portion of tooth which replaces fractured or missing coronal tooth structure and retains the final restoration. Patients at Wassan Dental can try variety of Glass, Fiber, Quartz or even Metallic or Zirconia posts and cores. Each day before you put your dentures in, use a brush with soft bristles to brush your remaining natural teeth, as well as your gums and your tongue. This will remove plaque that builds up overnight that can lead to gum disease. Pay special attention to any teeth that fit underneath the denture’s metal clasp, because bacteria trapped between the metal and your tooth can cause tooth decay. Your dentist will tell you the best kind of brushes and toothpaste or cleaning solutions to keep your dentures clean. Hand soap and mild dishwashing liquid are acceptable for use. Don’t use toothpastes that contain abrasive cleaners because they may scratch and weaken the denture. Dentures are durable enough to stand up to chewing and biting, but fragile when they are out of your mouth. Dropping them or throwing them down on a sink or counter can break a tooth or part of the denture base. When your denture teeth are front teeth, avoid biting down directly on crunchy or hard foods, like hard pretzels, crusty bread, or even oversized sandwiches. They can all cause a denture to break because of the angle where your denture tooth meets the hard surface. Be careful when biting into whole apples with your dentures as well; cut them into wedges instead. If your denture cracks or breaks, or if your denture tooth is chipped or loose, call the dentist immediately. Dentures can usually be repaired quickly, even the same day, but do not continue to use a damaged denture without letting your dentist see it. Take your dentures out at night and place them in a container of water or a solution designed to clean dentures while they soak. Dentures that dry out can become brittle and may also change shape. Ask your dentist for a container that will conceal your dentures while they soak, so your dentures won’t sit out in plain view, but make sure that the container is labeled or placed in a safe place, especially if you are visiting someone or have visitors at your home. Never place a denture in boiling water or the microwave oven. If your denture has metal clasps, ask your dentist whether soaking will tarnish them. If so, your dentist will recommend an alternative method of overnight storage. While dentures are durable, they won’t last forever. With many years of use, dentures may lose their natural appearance and become worn, and will not function as well as they did when they were new. Stains will likely occur over time, and even the fit may become loose or uncomfortable as your mouth changes. Your dentist will be able to advise you on whether changes to your dentures are cosmetic or have an impact on your oral health and hygiene. In these situations, you should get a comprehensive exam to determine the extent of the damage and the discount treatment options that are available to you. We will suggest the best kind of brushes and toothpaste or cleaning solutions to keep your dentures clean. Hand soap and mild dishwashing liquid are acceptable for use. Don’t use toothpastes that contain abrasive cleaners because they may scratch and weaken the denture mouth reconstruction in muscat. This drastic treatment often involves a combination of both cosmetic dentistry and restorative procedures. Implants require two surgeries to permanently replace individual teeth. In the first surgery, we makes gum incisions and drills titanium rods into your jawbone where you are missing teeth. Any openings are sealed with stitches, and often a temporary bridge or denture is placed over the gaps. After several months, your bone will fuse with the metal rods, and then we can attach prosthetic teeth. 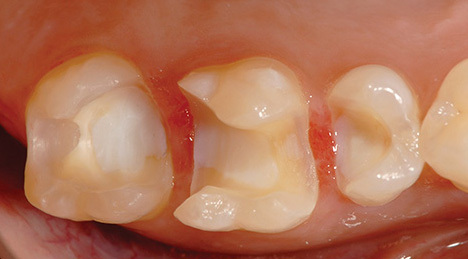 Bridges replace missing teeth by attaching crowns to the teeth on either side of the gap, connected by a false tooth in the center. Bridges can be made from ceramic, metal or plastic. Crowns attach to damaged teeth to restore their shape and protect them from further harm. 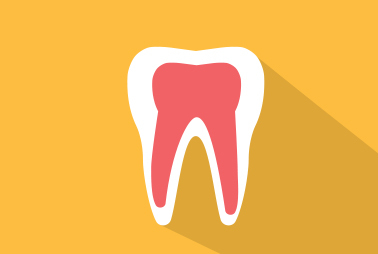 Parts of your original tooth may be removed to better accommodate the crown. The most common varieties are made of ceramic, metal or a mixture of the two. Some people find that they get a better discount with the inexpensive metal version. Fillings protect your pearly whites that have cavities from further damage. The removed cavity creates space, which is filled with either a composite or a metal amalgam component. Dental crowns (“tooth caps”) are one of dentistry’s most versatile restorations. Beyond just offering a way to rebuild and strengthen damaged or compromised teeth, they also provide a way by which a tooth’s overall appearance (color, shape and even apparent alignment) can be vastly improved. While reading our pages, you’ll learn about the different types of crowns (ceramic, porcelain-fused-to-metal, and all-metal/gold) and when each of these types might make the best choice. We also describe the steps a dentist follows when they make a crown for a patient, as well as how much you can expect your crown to cost and how long it may possibly last. We also cover issues such as alternative restorations, how crowns differ from porcelain veneers and common crown-related problems, including what to do if you have one come off. A crown is a type of dental restoration that, when cemented into place, fully cups over that portion of a tooth that lies at and above the gum line. Since it encases the entire visible aspect of a tooth, a dental crown, in effect, becomes the tooth’s new outer surface. It’s not too hard to envision how a dental crown might be used to restore, or even improve, a tooth’s shape. When a crown is cemented into place, it becomes, in essence, the tooth’s new outer shell. And although they must stay within certain guidelines, it’s easy to seen. how placing a crown gives a dentist great control in defining the overall shape of a tooth. Typically, conventional and cantilever bridges require shaping of the teeth surrounding a missing tooth. Crowns are then placed on the shaped teeth and attached to an artificial tooth (called a pontic).A resin-bonded bridge requires less preparation of adjacent teeth. It is often used to replace front teeth, provided that the gums are healthy and the surrounding teeth do not have extensive dental fillings. During the first visit, we examine the health of your gums and other teeth to evaluate if you are a candidate for a dental bridge. You are given a local anesthetic so we can prepare the teeth required to support the bridge. If the support teeth are decayed or badly broken down, we may have to build them back up before they can be used as support teeth for a bridge. While your bridge is being fabricated, we fit you with a temporary bridge so the teeth and gums can be protected from damage until your permanent bridge is ready. To complete the dental bridge procedure, you must return to the dental office for a second visit to have the bridge fitted and cemented. Today’s dental implant restorations are virtually indistinguishable from other teeth. This appearance is aided in part by the structural and functional connection between the dental implant and the living bone. Implants are typically placed in a single sitting but require a period of osseointegration. Osseointegration is the process by which the dental implant anchors to the jaw bone. Osseointegrated implants are the most commonly used and successful type of dental implant. An osseointegrated implant takes anywhere from three to six months to anchor and heal, at which point your dentist can complete the procedure by placing a crown restoration. If osseointegration does not occur, the implant will fail. Dental implantation, which is performed to replace missing teeth, can be done any time after adolescence or when bone growth is complete. Certain medical conditions, such as active diabetes, cancer or periodontal disease, may require additional treatment before the implant procedure can be performed. A dental implant restoration is commonly composed of a titanium material screw and a crown. A small-diameter hole (pilot hole) is drilled at edentulous (where there is no tooth) jaw sites in order to guide the titanium screw that holds a dental implant in place. To avoid damaging vital jaw and face structures like the inferior alveolar nerve in the mandible (lower jaw), a dentist must use great skill and expertise when boring the pilot hole and sizing the jaw bone. In many instances dentists use surgical guides created based on the CT scans when placing the dental implants. After the initial pilot hole has been drilled into the appropriate jaw site, it is slowly widened to allow placement of the implant screw. Once in place, surrounding gum tissue is secured over the implant and a protective cover screw is placed on top to allow the site to heal and osseointegration to occur. After up to six months of healing, your dentist will uncover the implant and attach an abutment (which holds the crown or tooth-like replacement) to the implant. In some cases, the abutment may be attached during the initial procedure. When the abutment is in place, your dentist then will create a temporary crown. The temporary crown serves as a template around which the gum grows and shapes itself in a natural way. The process is completed when the temporary crown is replaced with a permanent crown.